As we near the end of 2017, Washington and Lee reunion classes are preparing not only for a festive and memorable Alumni Weekend, but also for making a significant impact on current students. Alumni Weekend 2018 is April 26–29 and will include special reunion events for members of the 15th through 50th classes with graduation years ending in 3 and 8. Reunion class co-chairs and their fellow committee members encourage reunion participation and giving. Strengthening relationships among classmates and with W&L is a top priority. Many consider reconnecting with their classmates a primary draw of Alumni Weekend. Typically, more than 500 alumni return to campus to celebrate reunions each spring. In the last two years alumni have traveled from at least 40 states, including Hawaii, and a number of foreign countries. In 2008, W&L established the Reunion Traveller Award to recognize the alumna or alumnus who traveled the farthest to attend. Last year, Paul Cheever of New South Wales, Australia, became the first alumnus to win the award two times. He made the 10,000 mile journey to Lexington for his 40th and 45th reunions. Another essential part of reunion committee work is fundraising to support W&L. 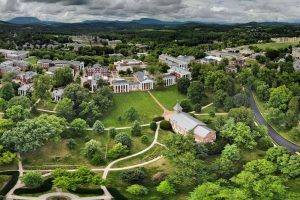 The tradition of organized reunion gift campaigns began at W&L in 1986, when the classes of 1936 and 1961 were celebrating their 50th and 25th reunions. 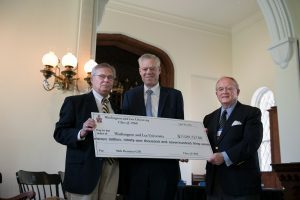 Today, gifts and payments made on reunion pledges are essential to W&L, accounting for about 65 percent of the total that undergraduate alumni give each year. All of that giving, with the exception of the 25th and 50th reunion class projects, supports the Annual Fund. Participation in reunion giving is a key part of the Annual Fund’s success each year, which currently provides 8 percent of the university’s operating budget and reduces educational costs for every student by nearly $5,000. But giving during reunion isn’t just about the numbers — it is an emotional experience unique to the donor, with the purpose of reconnecting with the past to impact the future. If you are in a reunion year and have questions, feel free to contact one of your class co-chairs or contact the Office of Annual Giving at 540-458-8420. To make a reunion gift online, visit www.wlu.edu/support. Reunion pledges can be made online at support.wlu.edu/reunionpledge.